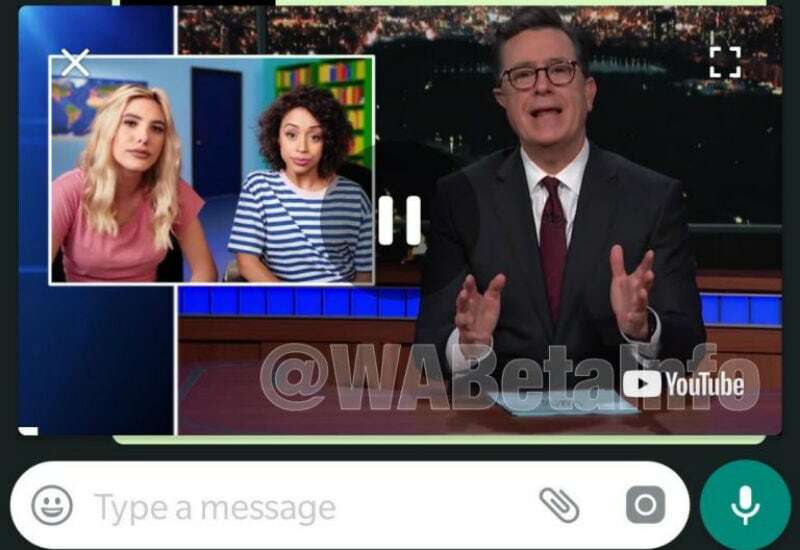 WhatsApp Bringing Picture-in-Picture Mode for Android to Watch Instagram, YouTube..
General News: WhatsApp Bringing Picture-in-Picture Mode for Android to Watch Instagram, YouTube..
General News WhatsApp Bringing Picture-in-Picture Mode for Android to Watch Instagram, YouTube..
WhatsApp is reportedly working on a picture-in-picture video feature for Android. The messaging app has had an eventful 2018 as it has been launching and testing new features with high frequency. To recall, WhatsApp for iOS received PiP support earlier this year. The new feature that will arrive on Android devices, will let WhatsApp users play videos from Instagram and YouTube in a small window within the messaging app itself. It essentially means you will not need to go to Instagram or YouTube apps to view a video sent by a contact.